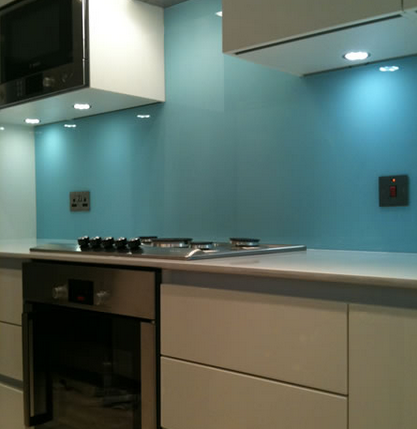 A perfect alternative work top surface in any modern kitchen. 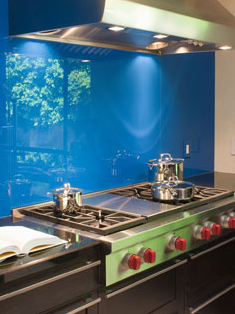 Glass is waterproof, durable to wear and hygienic. 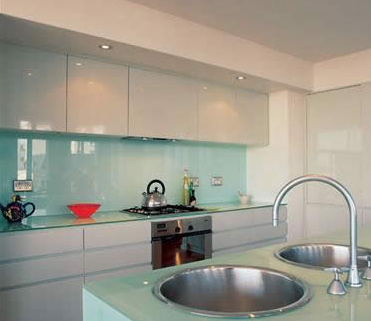 We are specialists in manufacturing and installing toughened glass kitchen splashbacks and worktops, even matching chopping boards. 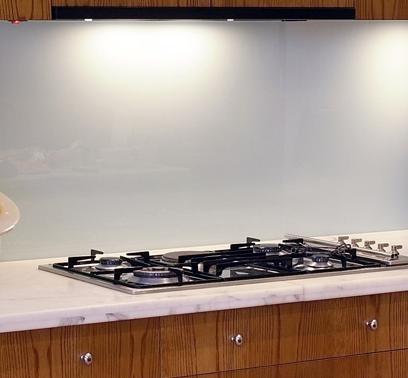 Glass splashbacks must be considered whether you are designing a new kitchen or simply updating your old one, our glass splashbacks and worktops add a sense of style and class to any home. 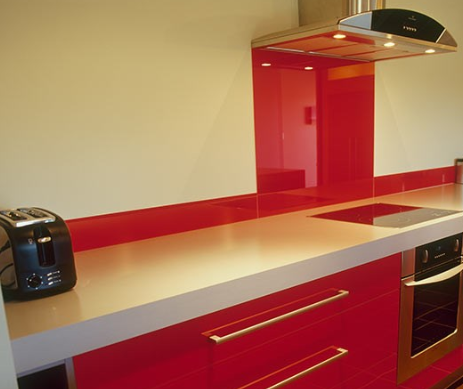 Toughened colourd glass has become most practical modern material for work surfaces in the modern home. 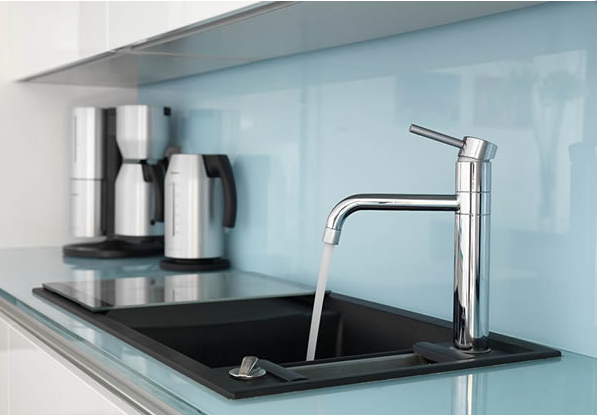 Popular thickness options include 10mm and 19mm toughened with polished edges it can be cut to accommodate undermount and inset sinks and hobs and the choice of colours is almost limitless. 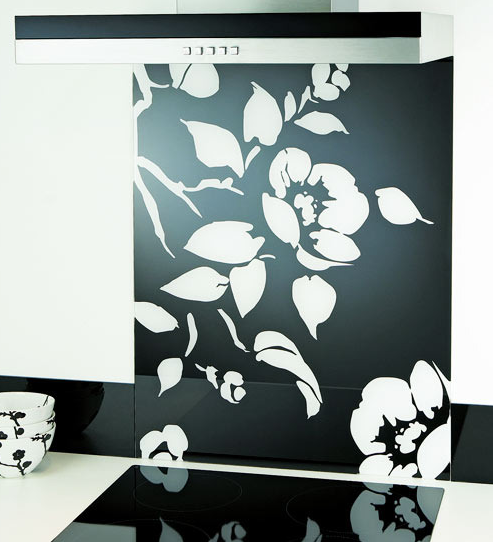 Glass splashbacks are great for adding a touch of sophistication to any room. 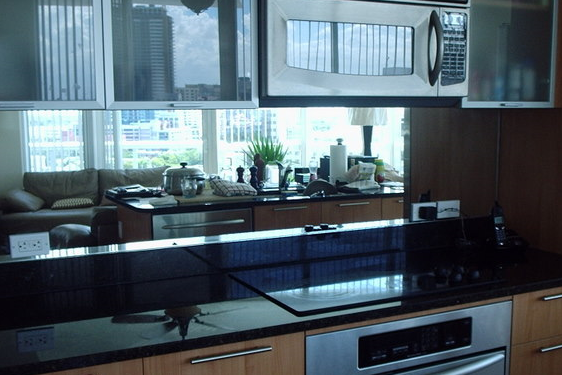 In the kitchen they can be functional as well as stylish. 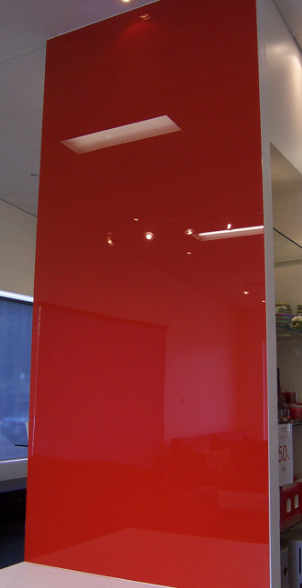 They protect the wall from spills and are easily maintained. 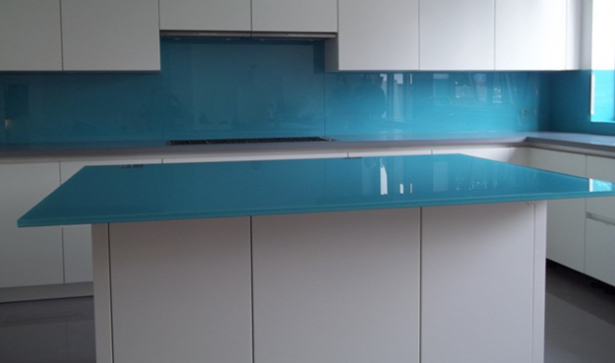 We use a usually use 6mm toughened glass, this will bring a smooth clean look of uninterrupted glass, matched with the capability of being personalised using literally thousands of colour, printed and patterned options we can deliver a style that completes your perfect kitchen. 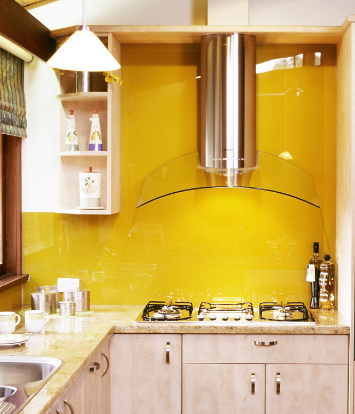 Glass splashbacks can also be used in the bathroom behind the sink and even in the bedroom or any other room in the home. 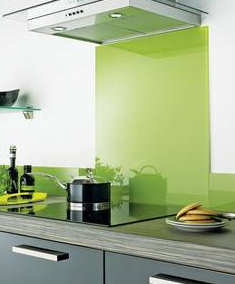 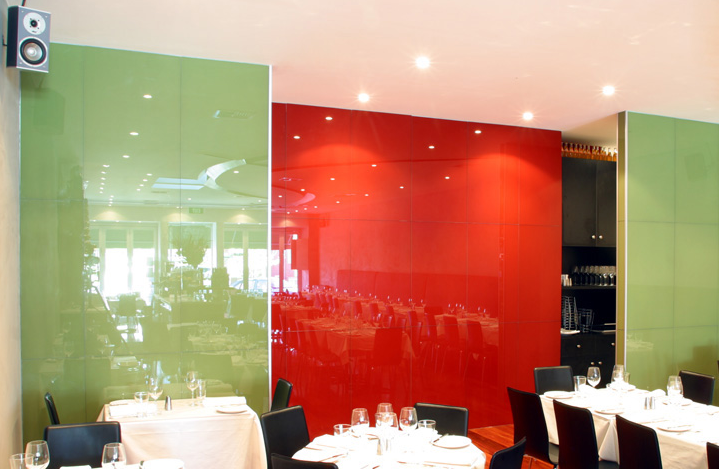 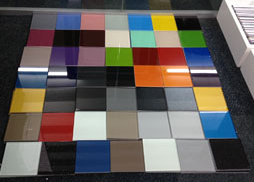 Many people treat them as wall art, since glass splashbacks are available in a wide range of striking colours. 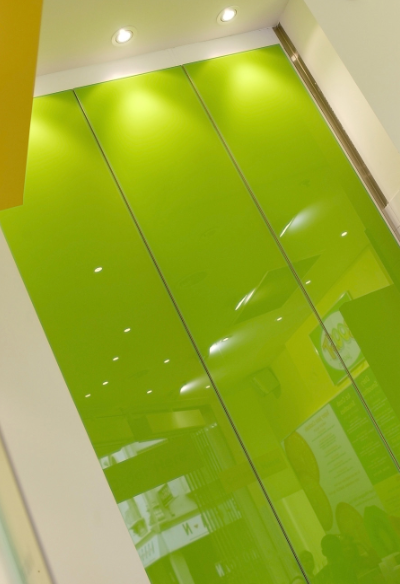 Get them in bright colours, to muted pastels, metallic and designer patterns, they give a smooth sleek finishing touch that adds exclusivity to any space. 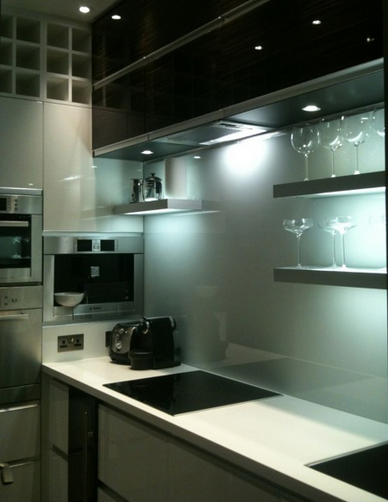 We can create custom made shaped splash backs and cut out to match any configuration for your sinks and features. 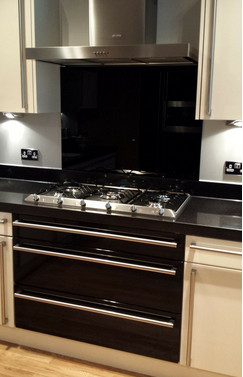 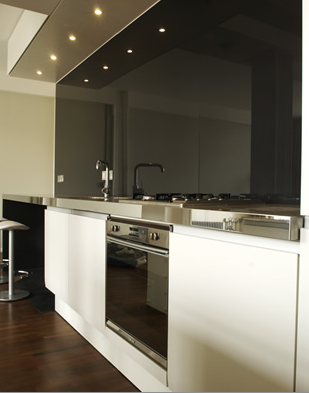 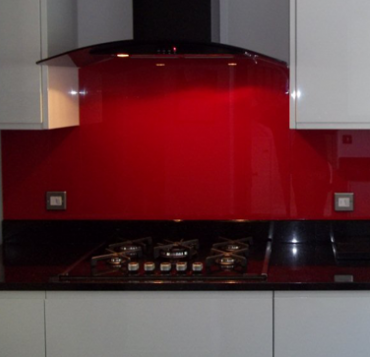 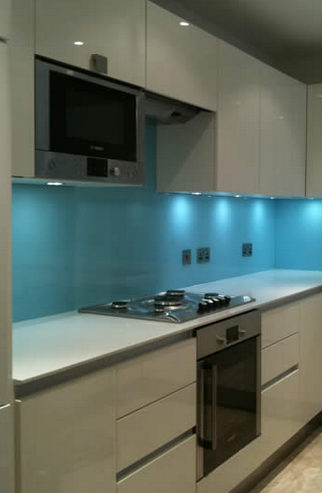 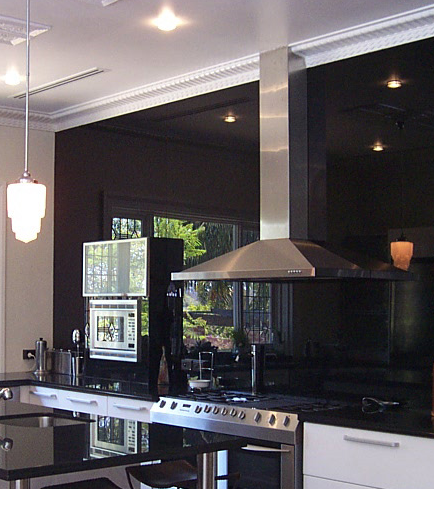 Our Splashbacks are manufactured using toughened safety glass. 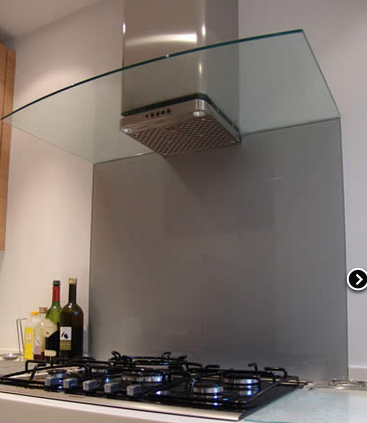 They have polished edges, to ensure safety. 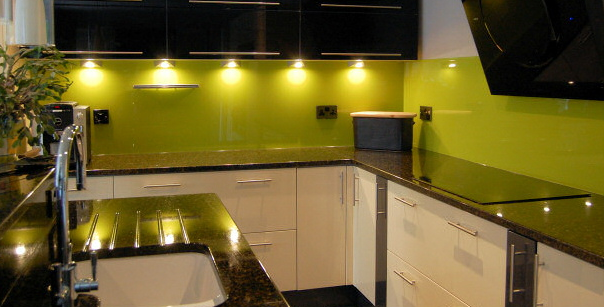 We can also make and match your kitchen upstands and counter tops to the glass splash backs so that a continuious design is created to make your kitchen complete. 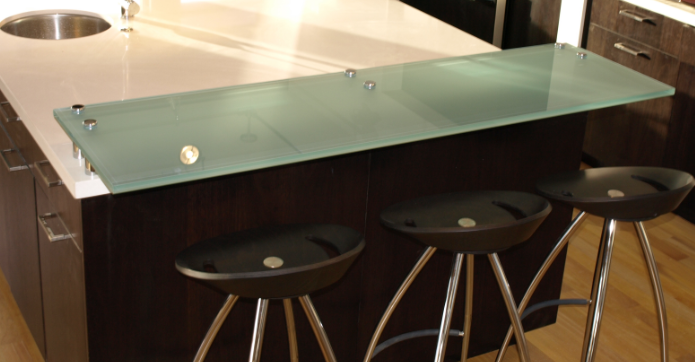 Our custom made toughened glass breakfast bars create a stylish and functional surface in the kitchen. 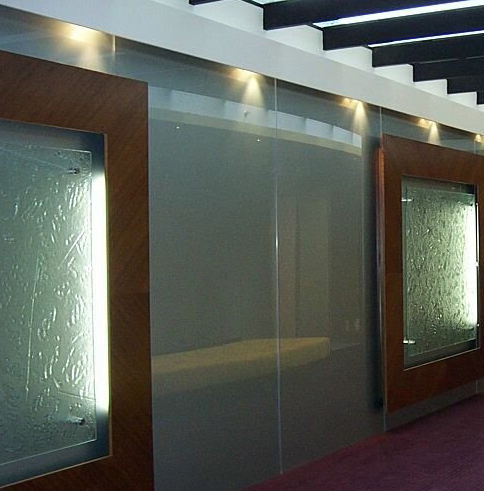 Metal and chrome supports are available or we use UV Bonding technology to create an Invisible bond between the glass and support. 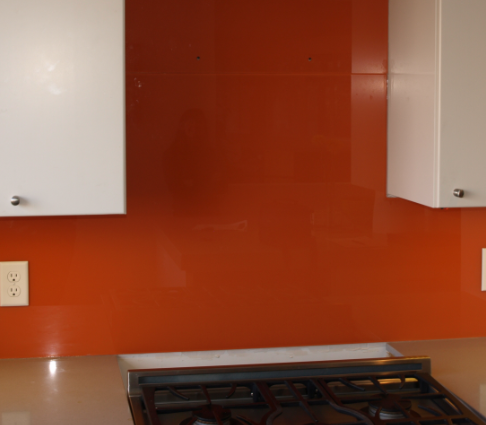 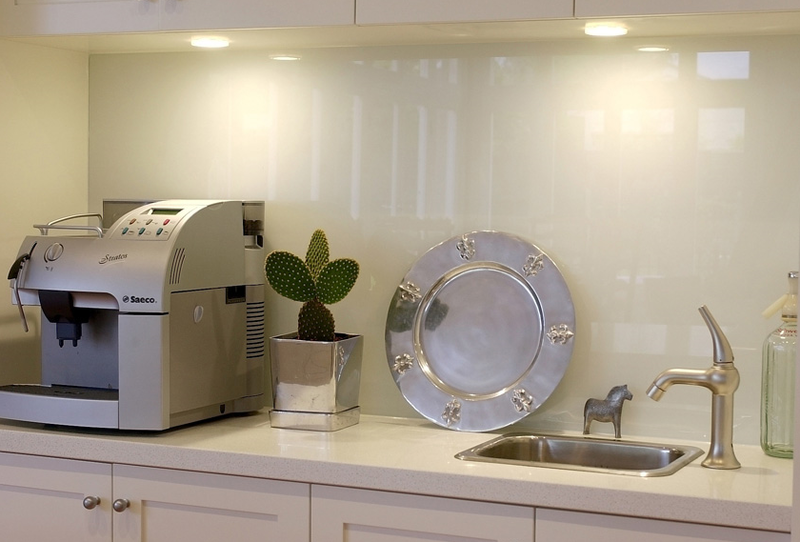 Glass used for this purpose is generally 10 or 19 mm in thickness in either clear or low iron glass we can also personalise this glass in many ways similar to our splash backs ranges and processing. 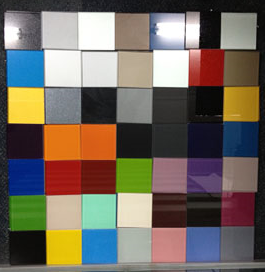 Our Showroom and Factory is Located at the Glass works, Skeoge industrial estate Derry City Northern Ireland, we have expanded and developed both our product ranges and glazing capabilities over the 30 years of working in this industry and now offer our services to all areas of Ireland, the United kingdom and internationally.